Choose one of our 15 standard colors. Or create any color you like! We can create any color that meets your specific project requirements or the approved corporate color specifications. We also offer custom blending of our standard colors to create unique hues and shades to satisfy architectural specifications or customer desires. 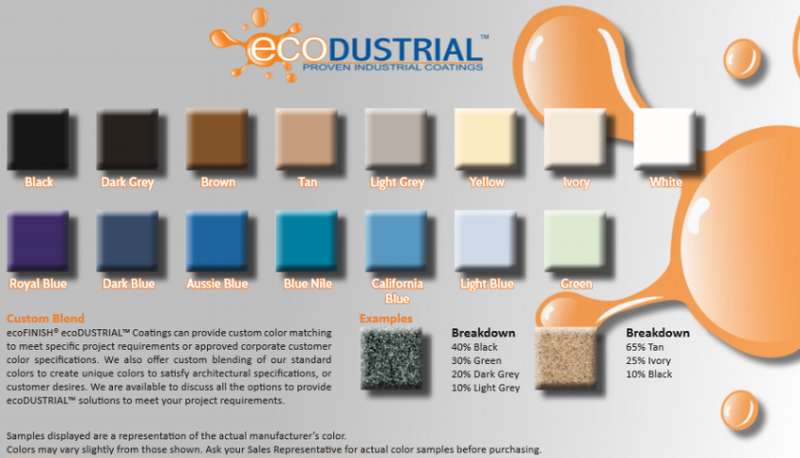 Don't hesitate to contact us if you are interested in the EcoDUSTRIAL product. Email info@bscbonaire.com or call 796 7499 (Frank Bierings).